One word that could sum up Kyou no Kira-kun for me is... bittersweet. "Unpopular girl will fall in love with the most popular guy in school. Many things will happen like girl confessing to boy but will get rejected but in the end they will end up together... but another guy will appear." Something like that. Well Kyou no Kira-kun still has the same theme of "unpopular girl" and "popular boy" but there's a catch. The boy is sick and has only a year left to live. I also said it's not that original since I think I've read something like that before. But what makes this manga special to me are the words/quotes/converstaion that were being used. It's really very touching and will hit you very hard in your heart. It made me cry a lot. And it feels like you could really learn a lot from this in real life... that time is really precious! I do find the art really cute and refreshing too. It also brings out the beauty of the story especially the scenes that made me cry. They were beautiful. I don't have anything to say. I love the girl and boy protagonists a lot. I really think they suit each other a lot. Another reason I came to love this manga! Especially the boy, Kira. He's really so precious. Wow I'm glad I read this manga. Though at first I was torn between "I shouldn't have read it" and "I'm glad I read it" but in the end, I'm really glad I did! Even though when I try to think what will happen to them in the future and it will make me cry, I still look forward to it! I really want to know what will happen regardless if it's a happy or sad ending. But another good thing about this manga is even though it is "tragedy," it is still very CUTE and SWEET. While it made me cry a lot, it also made me smile a lot too. It's such a very touching and cute manga! It's really worth reading it! "Its a promise.. 365 days before the blink of my eyes, ill keep staring at you"
The premise is fairly common, with the presence of manga's such as koizora, the theme of tragedy seems to reel in to both genders appealing to the readers sympathy. The story starts off with a girl named Nino who is a shy girl who has a funky parrot who she likes talking too, and of course the main protagonist who is told he will die in less than a year. The characters are fairly normal for a shoujo manga, there is nothing special about them. Apart from the fact that there is tragedy involved theres nothing too special about this manga. It is definitely worth a read though as it is not horrible at all, but could be done better. Like a previous reviewer has said the premise of the story is pretty common. The male assumed love interest has some sort of disease and knows he's going to die. Where this differs from other plot lines alike I think is the tone of the manga. The tone unlike others of the same kind of theme is a lot more light hearted. Obviously death and disease being the main theme its still slightly depressing but in a more bittersweet way than a pessimistic way. One of the nicest things about the manga was the way in which the main characters are characterized. The protagonist is a little more interesting than other protagonists in shoujo manga while she isn't one of the more typical crying and dependent protagonist she isn't one of the counter-typed, outlandish strong female leads either. She is definitely an interesting character. The same can be said for the main male lead he is also interesting, I wouldn't want to spoil anything about his character but he can come across as a typical 'bad boy' type of character to begin with but he is anything but. Let's say he is more of the typical dependent female protagonist then the main character is. Though there is an over arching plot and some longer plot lines it is mainly written in a kind of episodic way, each chapter having a different plot line within the larger over arching plot. In some ways its better this way and other ways it not. If you like the kind of episodic way mangas like Usotsuki no Lily is written you may enjoy this one for the same styling. Based on the fact the manga has yet to be translated completely into English is still ongoing I don't really have a good idea of the entire story but I am liking where it is going. There are a few complexities to the plot that could be explored further that I am looking forward too however there are already 6 volumes of the manga and I don't think given the number of volumes that the plot and story will continue to consistently well written. In general the art style is quite nice. The characters don't seem to have much variety between being bishounens and bishoujos but despite this its generally quite pretty(?) to look at. Not really fond of how the adults are drawn they all seem to look no older than their mid-30's, where they should look a lot older especially in comparison to the main characters. eg. The protagonists mother looks more like her sister. The art is above average regardless and in collaboration with the well written story and good characters I would say overall, this a good if not very good manga. Some extra characters have been introduced to develop the plot albeit in a quite cliche way, still enjoying it regardless. I feel like I wanna leave it at that but I wont. 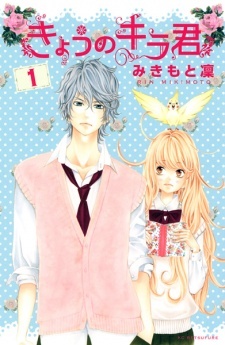 Nino is a shy girl who befriends, or is befriended by, Kira who is told he's only been given 1 year to live. It's a story of he developing relationship between Nino and Kira and how the people around them interact and grow. 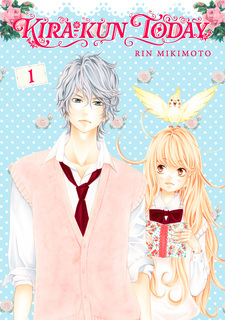 The art is stunning, Nino is like the cutest, sweetest person ever, Sensei her pet parrot is also an interesting addition making this an even more unique manga, Kira is a wild yet lonely boy with the nicest hair ever. And we're just seeing a new person being introduced called Yabe who is an old/ex (?) friend of Kira. Im just talk about Nino quickly because I've been trawling through so many shoujo mangas with stupid girls who cry. Nino is different. At first I thought it was just a typical shoujo manga where the girl is just shy and then the guy makes her popular. I was wrong. She cries occasionally but only at very hurtful things. She's uber shy after having a terrifying experience (of which we are yet to learn about more in depth) and Kira almost giver her her voice back. Their relationship is quite magical (just like a rainbow, you'll understand this reference if you've read it). It does have a few cliches here and there but to be honest its fairly original and so cute and sweet. It really touches you heart, gets you in the feels! Read it and go on a massive feel journey. Bring tissues, crying is a given but it's so worth it.